We use technology of the future to make you better Today! 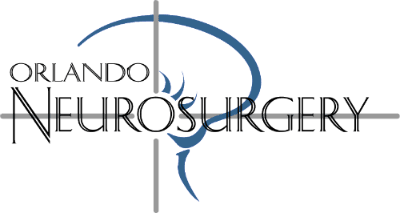 The physicians and staff of Orlando Neurosurgery would like to welcome you to our practice. We understand the complexities of diseases of the brain and spine. We have specialists to treat everything from complex brain tumors to complex spine. As a group, we have the expertise and compassion to care for you and your loved ones. "Great surgeon I will recommend Dr Sawin to anyone.Just had cervical surgery on my c3 c4 on July 22.2016 everything went well. Went home with no pain didn't need to take my meds after day 2. Thank you Dr.Sawin for giving me my life back." I was injured last year and suffered a broken neck, bulging disc and compressed spinal cord. I had seen several neurosurgeons who recommended multiple surgeries in order to correct the problem. I came to see Dr. Behrmann for a second opinion. He was able to admit me and correct the problem by inserting a plate in my neck. His opinion was that another surgery would not be necessary. His bed side manner and caring attitude made me feel like I was in good hands. I am now a year post surgery and DOING GREAT!!!! I am very glad that made the decision to get that second opinion and am grateful that Dr. Behrmann was my choice!!!!!!!!!!!!!! I know I am very lucky!!" "The team there is amazing. Dr Gandhi is The best. I would highly recommend this group to anyone who needs the help."